The First and probably the Longest aviation super-cycle of the 21st century; driven by a multitude of favourable macroeconomic factors and spanning a 15 year period since 2003; has created a significant order backlog for the industry which is likely to provide significant propulsion to the aviation industry value chain over the next decade. The OEMs have been focused strongly on ramping up aircraft production rates to meet delivery schedules with aircraft deliveries by the industry in 2018 likely to reach a record high with production output on key aircraft programs going up translating into top line growth for the industry. The order backlog across the OEMs is dominated by the narrow body aircraft segment in volume terms and by the wide body aircraft segment in value terms. Next generation aviation turbofan engines, featuring a high bypass ratio and extensive usage of technological innovations, from the competing engine powerhouses have just entered service or are anticipated to make their debut over near term and are likely to form a major chunk of new deliveries over medium term given the composition of order backlog across aircraft OEMs. The technology landscape across industry is evolving radically with hybrid-electric propulsion technologies for commercial aircrafts, aimed at reducing CO2 emission levels drastically while scaling down operating costs substantially, likely to become a functional reality by the middle of next decade with an all European industry consortium being one of the largest cohorts focused on pursuing R&D on the electric propulsion technology. Additionally, resurgence of supersonic air travel, with some industry backed start-ups actively pursuing the development of prototypes targeting an EIS of early to mid-2020s; is likely to bring the next wave of technology led disruption to the industry. Airlines profitability continues to be on the upward growth trajectory with 2018 likely to be another boom year for the airlines with the profitability projected to register double digit growth rate to reach $38.4 billion in 2018, despite the spike in crude oil prices & pressures from escalating labour costs, which overall augurs well for the engine manufacturers from the MRO revenues standpoint. The engine manufacturers are readying up their industrial base for a planned, major production ramp up over near term to meet delivery timelines with some transitioning from production of previous generation engines to latest engine programs. Pratt & Whitney, especially, has a tough task ahead with order intake for its GTF engines taking a hit in 2017 and the latest technology glitch episode on the PW1100G likely to again play a spoilsport for Airbus and Bombardier in 2018, with reference to aircraft deliveries, which are likely to be impacted once again. Further, 2018 is going to be an important year for the industry with three new aircraft programs scheduled to enter service, led by, Boeing’s 737 MAX 9, Airbus A321 LR and Embraer’s E190-E2, thereby, providing CFM with opportunities to further up the ante on Pratt & Whitney in the narrow body aircraft segment with its LEAP engines family which has really made a head start. Additionally, Boeing’s proposed New Mid-market Airplane (NMA); Boeing’s first scratch-up commercial aircraft program since 787 in 2003; is going to be the key growth pie being looked at avidly by all engine manufacturers over near term with a sole source strategy likely to be pursued by Boeing and the three way engine competition apparently stacked in favour of CFM. 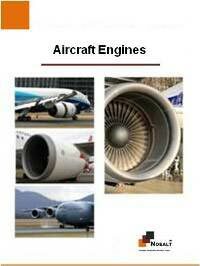 The 2018 edition of this annual publication provides comprehensive analysis and key insights into the Strategies & Plans being conceptualized & implemented by the World’s 4 leading commercial aircraft Turbofan Engine manufacturers for the near to medium term horizon as the industry continues on its strong growth trajectory. The report is unique with reference to its core focus on and deep qualitative analysis of strategies & plans for the industry OEMs. The report also provides a comprehensive SWOT framework analysis on all 4 industry players covered in the report providing useful insights into each player’s respective strengths and weaknesses. The report concludes with analysis of key trends, market conditions, potential growth opportunities and demand growth projections for the global commercial aircraft turbofan engines market through 2036. The report will be essential for Key Decision-Makers & Senior Industry Executives. The report will be especially useful for Program Managers, Procurement Managers, Airlines, Top Management of Industry Players & Other Companies, Industry OEMs, Suppliers, Vendors, MRO Services Providers, Technology & Other Services Solutions Providers and other Key Players in the Industry Value Chain. The report will also be useful for existing & potential Investors, Industry & Company Analysts, M&A Advisory Firms, Strategy & Management Consulting Firms, PE Firms, Venture Capitalists, Financing & Leasing Companies, Researchers and all those associated with the industry or any of the Engine Manufacturers covered in the report.